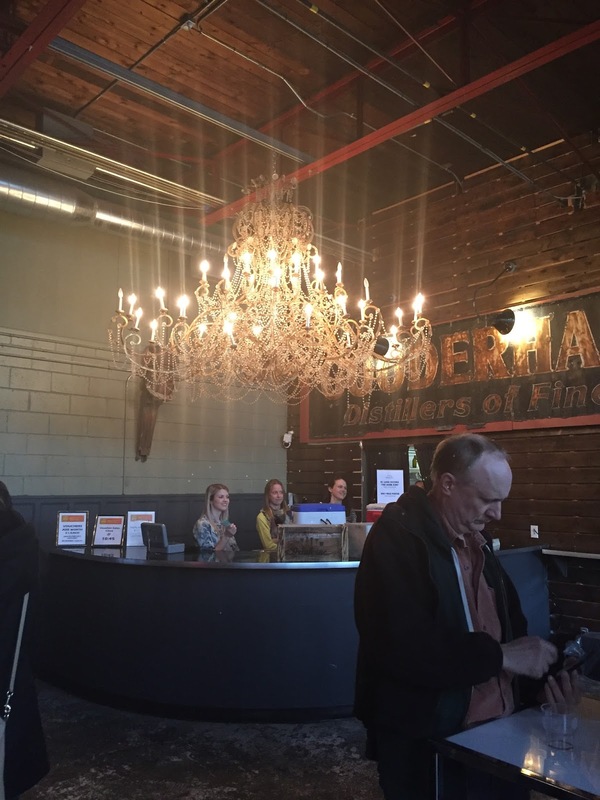 Airship 37 is a smaller venue with fake grass, a giant chandelier and a bus. Upon arriving, you are greeted by a gentleman playing guitar; great vibe going in. Drink tickets were good for both drinks and food. 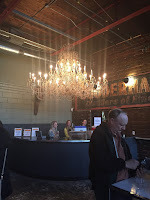 There were 2 rooms, giant chandelier and Mexican themed shows on TV and the larger room with seating, beer and food. One rooms was more relaxed and the other was quite lively. Outside there was patio seating and a bus. It looks like a bus, but it's a motorhome with lots of cozy seating. If you've ever wanted to drink beer in the driver seat of a bus without getting arrested, this was your chance! Being Cinqo de Mayo, there were tacos! There was Fish, Pulled Pork and a Veggie option. You got 2 tacos with lots of fresh toppings, guacamole, cheese and salsa. I'm sure there were more toppings, but I was a few beers in at this point. 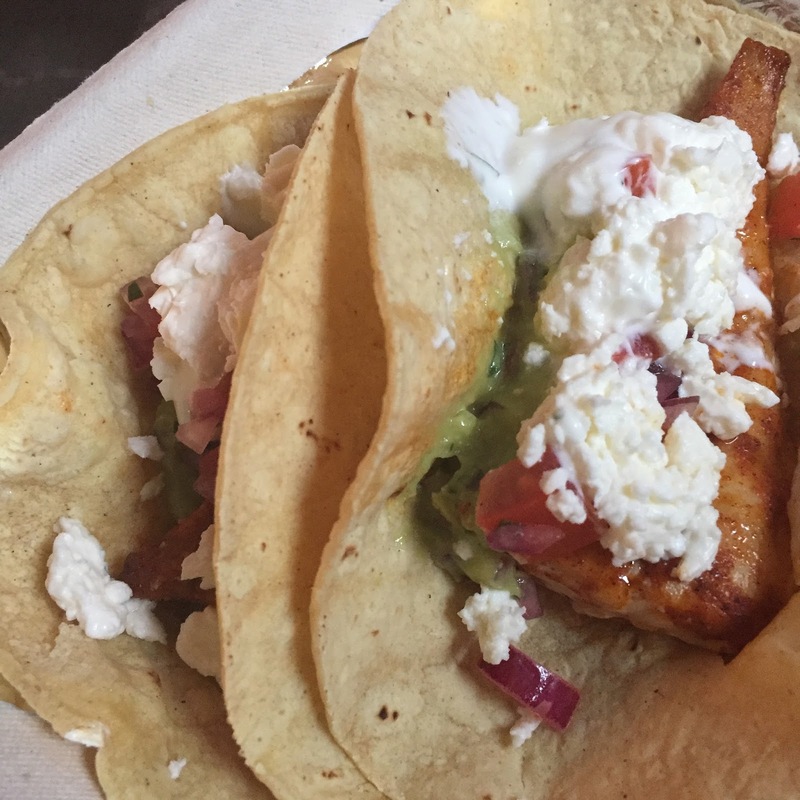 The fish tacos were good, but the pulled pork tacos were the star. The pork was flavourful and a little sweet, but the sauce didn't overpower the toppings. The tortillas were light and thin, so if you didn't eat them instantly, you had a bit of a mess! Wish I had got napkins on my first round! Not only were there tacos, but there was also a Mariachi band! They stopped in each space to spread the Cinqo de Mayo love. They were great and the crowd was loving it! 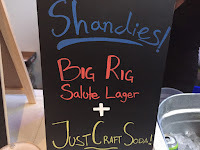 I stopped by Big Rig Brewery, Junction Craft Brewing and Double Trouble Brewing. 1 ticket for half a glass and 2 tickets for a full glass. 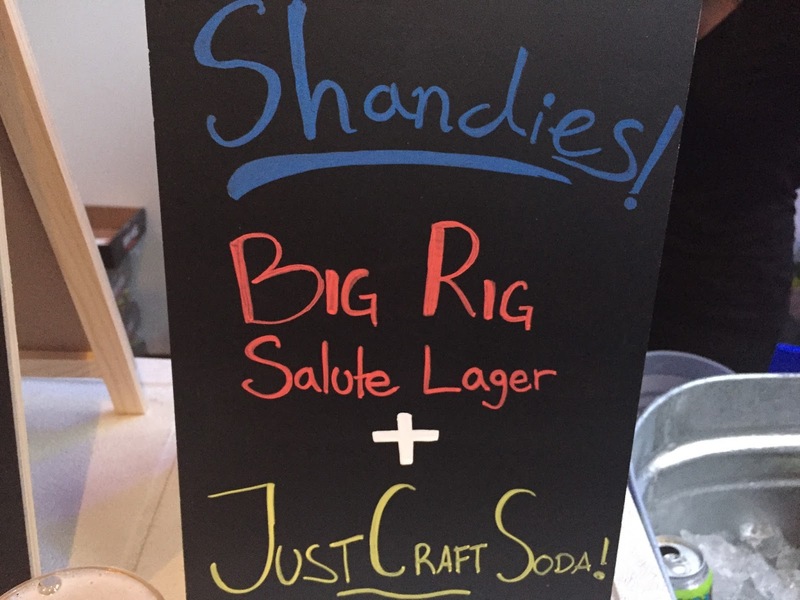 Big Rig was not only offering their brews, but you could also get yourself shandies! A friendly bunch, they are spreading the word to all customers, which was nice since there were no media badges here. I went with their lager. One of the hoppier lagers I've tried, they should would be available at the LCBO soon. Excellent. 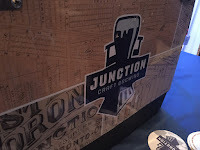 Junction had an IPA and a German Wheat Beer on tap. Wheat beer it is! It was smooth with a hint of citrus, but not too sweet. Very easy to drink! 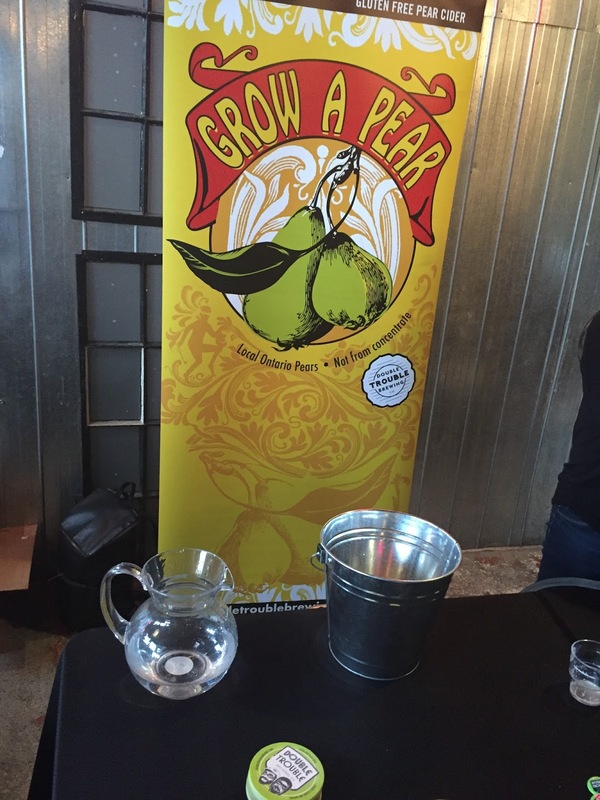 Then there's Double Trouble coming in with their Grow a Pear cider. A delightful cider with no aftertaste; refreshing! Porters and IPAs were the majority of the brews. My Chef Aunt was all over the porters! They were very popular at this event. 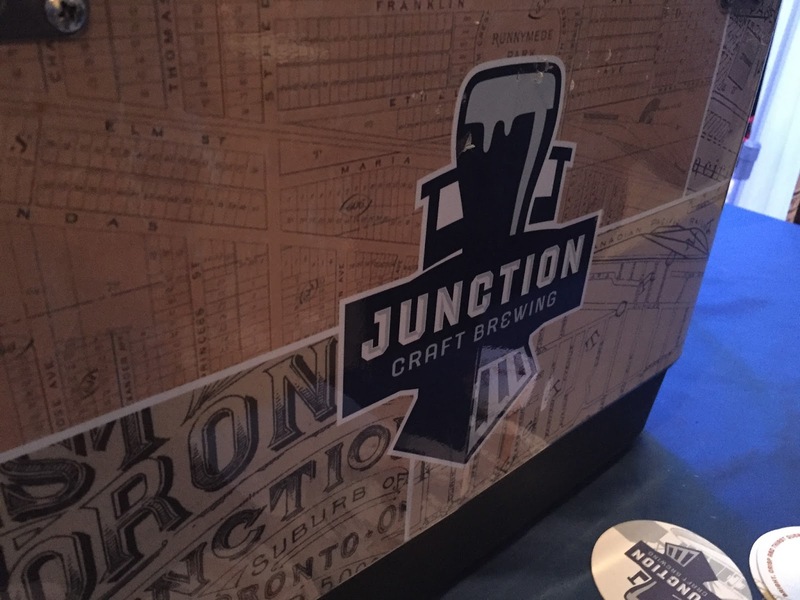 If your favourite type of beer is either of those, you missed out on a great selection. I think my aunt tried every porter there! We both agreed that this relaxed atmosphere was the perfect way to start the festival season. Everyone had the same relaxed vibe. I don't think I've ever talked with so many people in one evening! Can't wait for the next event from Drink Inc!